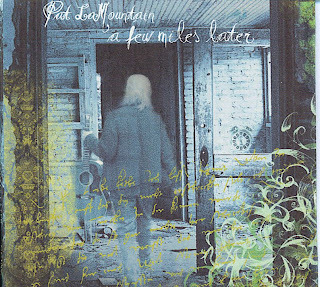 Two things to consider upfront: First, if you know Pat LaMountain’s music solely through her country/folk collaborations with husband Tex, this album will surprise you as it’s cut from different cloth entirely. Second, if the music sounds vaguely retro, it is; A Few Miles Later is stitched together from songs written in the 1980s that were supposed to be recorded in the early 1990s until that thing called life intervened. This release feels, for lack of a better word, trippy—the sort of acid folk that Grace Slick used to dust off in more contemplative moments. LaMountain matches her light voice to ambient instrumentation in evocative ways. On “Summer Rain” her vocals drift in the air and she deftly uses high-end catches as if the drizzle briefly became a downpour. In like fashion, “Boys in the Summer” has a gauzy feel. By way of contrast, “Oh Papa” is honky tonk blues the likes of which Patsy Cline would have tackled, “Good Thing” is infused with pop hooks, and “Bricks” feels like it was plucked from the Depression era.